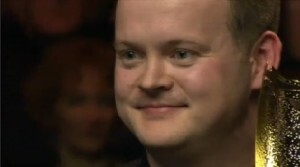 Shaun Murphy realised his childhood dream when he surprisingly became World Snooker champion back in 2005. While he has not gone on to add multiple world titles to his name in the years since, Shaun has managed to be one of the most consistent players on the tour, regularly reaching the latter stages of ranking events. When he won the World Championship, the aspect of his game that stood out the most was his devastating long game that frequently allowed him to get in first and establish a frame-winning lead, if not win it in one visit. Since then however Murphy has learned to kerb his attacking instincts to a degree and shown a greater all-round game that is needed to compete with the very best on a regular basis. Having started to play snooker aged just 8, Murphy was making century breaks within two years and by the time he was 13 had secured a £5,000 sponsorship deal with Dr Martens. 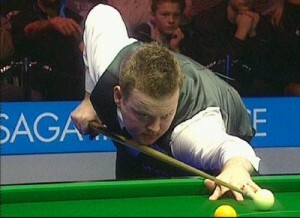 Having graduated to the amateur ranks, Murphy established himself as one of snooker’s most promising young players during the early 1990’s. Notably he won the UK Junior Championship from 1994-6, won the 2000 English Open and twice reached the final of the English U-21 Championship, several years before his 21st birthday. Having turned professional in 1997 just days before his 16th birthday, Murphy’s early years on the tour were unspectacular. 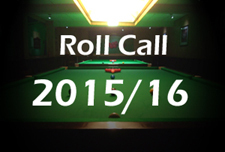 Highlights included being voted as the 2000 World Snooker Newcomer of the Year and Young Player of Distinction of the Year, as well as winning the 2000 B&H Championship tournament. This allowed him to play in the Masters tournament the following January where having comprehensively beaten Marco Fu in the first round, he lost narrowly to Stephen Hendry in the next. Although he failed to qualify for the event the following season, he did make his first career 147 in one of his qualifying matches. He continued to move up the rankings during the following couple of years, twice qualifying for the Crucible where he would lose to former world champions Hendry and Ireland’s Ken Doherty, as well as reaching the semi-finals of the European Open. These results helped to ensure that he started the 2004/5 season in the top 48 of the rankings for the first time, though I doubt even he imagined what was going to happen next. Having qualified for the 2005 Embassy World Championship by defeating both Marcus Campbell and Joe Swail in the qualifying rounds, Murphy entered the tournament hoping to do better than in his previous two attempts. 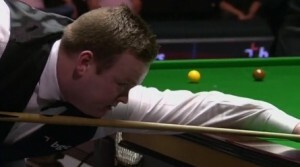 Paired with the struggling Chris Small in the opening round, Murphy brushed him aside to win his first match at the Crucible Theatre in what would turn out to be Small’s last ever match. In round two he faced a much sterner test however in the form of former champion John Higgins but he handled the occasion brilliantly, winning 13-8. A thrashing of his idol Steve Davis followed in the quarter-final before he came up against another former world champion, Peter Ebdon. Full of confidence, Murphy defeated his illustrious opponent 17-12 to advance to not only his first world final, but his first ranking event final full stop. Here he would face Wales’ Matthew Stevens and although very much the underdog, Murphy’s relentless display of long-potting that he had shown throughout the tournament helped him to secure a famous 18-16 victory. This made Murphy the second youngest ever world champion after Stephen Hendry and the first qualifier to do so since Terry Griffiths in 1979. Despite being ranked in 21st position, as world champion Murphy was spared the stress of having to qualify for the TV stages of ranking events at the expense of the unfortunate Ian McCulloch for the 2005/6 season. Although he failed to capture a second ranking event tile his performances, highlighted by a run to the final of the 2006 Welsh Open, were enough to move him up to 5th in the rankings. His defence of the World Championship came to an end at the quarter-final stage however when Ebdon gained his revenge for the previous year’s defeat. The following season brought his second ranking title at the 2007 Malta Cup and he again performed well enough to improve his ranking, this time to third position. He also managed to perform well at the World Championship once again, though he was disappointed to lose his semi-final against Leicester’s Mark Selby from a strong position. During 2007/8 Murphy was arguably the most consistent player on the circuit, reaching the semi-final stage of no fewer than seven televised tournaments. Despite this however he managed to win only one, the invitational 2008 Malta Cup and was to suffer a disappointing defeat at the hands of Ali Carter in the second round of the World Championship. Again though, his performances were enough to see him end the season third in the rankings. Unfortunately for Shaun, his start to the 2008/9 season was nothing short of a disaster, having lost his opening four matches and slipped from a clear third in the rankings to a precarious sixth on the list. Possible reasons for this include a recent split from his wife of three years, a similar split from long-term coach Steve Prest and various other commitments that kept him from the practice table at the start of the season. He returned to form with a bang at the UK Championship in Telford however as after an unconvincing round one win against Martin Gould, he went on to defeat Mark Allen, Stephen Lee, Stephen Maguire and eventually Marco Fu 10-9 in the final to clinch his third ranking event title. That last win coming at 0:22am UK time, it was a hard fought victory and one that saw him become only the tenth player to win both the World and UK Championships. Following that result his results continued to be improved as he reached the quarter-finals in both Wales and China, before embarking on a fabulous run to his second world final at the Crucible where he would face Scotland’s John Higgins. Having seen off Andrew Higginson, Marco Fu, Stephen Hendry and Neil Robertson already, Murphy entered the match as a slight favourite with some people, but after a close opening session eventually slumped to a heavy 18-9 defeat. 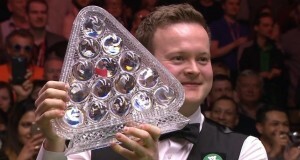 The signs were there in his semi-final match with Robertson that perhaps his safety game was not quite where it should be and against a player as tactically aware as Higgins in the final, he was never going to get away with that. Having won a number of invitational events during the summer, Shaun Murphy entered the 2009/10 season in confident mood and this showed as he moved ominously into the semi-finals of the season-opening Shanghai Masters. Once there however he was to suffer a surprise defeat to Liang Wenbo and followed this with a last 32 exit at the hands of Barry Pinches at the Grand Prix. A second round defeat to eventual champion Ding Junhui brought the defence of his UK Championship crown to an end in Telford, before disappointing defeats to Matthew Stevens and Nigel Bond at the following two events left him short on form heading into the World Championship. Nevertheless Shaun started his Crucible campaign well, racing into an 8-1 lead against Gerard Greene before eventually getting over the line 10-7 to secure an eagerly anticipated re-match against Ding Junhui in the second round. In a match that lived up to the billing it was hard to separate the two until at 10-10, Ding began to wilt as Shaun grew in confidence and took the next three frames, the last with a superb break of 128 to book his place in another quarter-final in Sheffield. That was to be as far as he would make it however as this time he emerged from a tight match as the loser, 13-12 to 2008 finalist Ali Carter who stole it on the colours following a missed yellow from Murphy. This meant that Shaun would fall four places to number seven on the year end ranking list. Away from the ranking circuit however he did manage to capture the Matchroom Premier League title for the first time during 2009/10, ending the five-year reign of world number one Ronnie O’Sullivan in some style with a 7-3 final victory. Shaun began 2010 slowly as during the new PTC series he won just two matches from the first four events and crashed out of the first two full rankings events, notably losing 3-0 to Dave Harold in Glasgow at the World Open. As he has so often done in the past however, Shaun produced some of his best snooker overseas, reaching the semi-finals of the first European Players Tour Championship event in Furth before winning the second in Bruges. 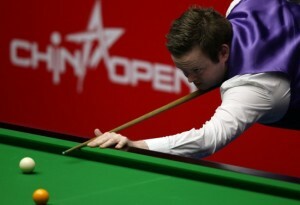 Shaun also reached the final of the EPTC5 event before losing out to a returning John Higgins 4-2. 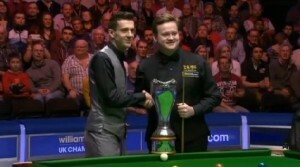 A run to the semi-finals of the UK Championship in Telford followed before he captured the PTC Grand Finals title, again overseas, this time in Dublin. Although his 4-0 final victory against Martin Gould does stand out on paper, it was in fact his comeback from 3-1 down against Stephen Lee during his quarter-final that was his most memorable performance from the tournament. Another strong run was to follow in Beijing as he defeated John Higgins en route to the semi-finals before he came close to recording only the second ever whitewash at the Crucible Theatre, eventually defeating Scotland’s Marcus Campbell 10-1. Despite this resounding success he was however to lose out in the second round to three time world champion Ronnie O’Sullivan having lost the first session 6-2 and struggled thereafter to reduce the deficit. Shaun made a bright start to 2011/12 as he made it through to the semi-finals of the Australian Goldfields Open, as well as the quarter-finals of both the Shanghai Masters and UK Championship events. Surprisingly however, having topped the PTC Order of Merit during the previous season, Shaun struggled for results in the 12 events in 2011/12, two quarter-finals representing his strongest performances, not enough to qualify for the Grand Finals and be able to defend his title. Improvement was to come at the Alexandra Palace however as he defeated Martin Gould, Mark Selby and reigning world champion John Higgins to reach his first Masters final, only to lose out to Neil Robertson 10-6. Shaun maintained his form during the remainder of the season, reaching the semi-finals of both the German Masters and the Welsh Open, as well as the quarter-finals of the inaugural Haikou World Open. His campaign was to end on a disappoint note however as he his opening matches at the final two tournaments, against Lu Ning in Beijing, before surprisingly going down 10-8 to Jamie Jones at the World Championship. 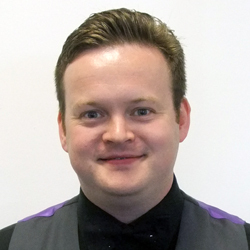 Following an extended break during the off-season, Shaun Murphy was to make a solid start to the campaign with a run to the final of the invitational 6-Red World Championship, before he reached the quarter-finals of the Australian Goldfields Open tournament. Consistent runs during the PTC events would follow, including a semi-final run at the UKPTC3 event in Gloucester, before he also reached the last four at both the Shanghai Masters and International Championship tournaments in China. Another strong run was to follow at the 2012 UK Championship in York, when the 2008 winner defeated Robert Milkins, Graeme Dott, Luca Brecel and then brilliantly from 8-4 down, Ali Carter to reach the final. Though he was to fall just short against world number two Mark Selby, it was a strong end to what was an excellent year overall for Shaun. Shaun continued his strong form into 2013 with a semi-final appearance at the Masters, before he made it to the quarter-finals of the German Masters, on both occasions losing to Australia’s Neil Robertson. A semi-final appearance followed at the China Open, before he finished the season with a quarter-final run at the World Championship, losing a thrilling match with Judd Trump 13-12, following a near hour-long deciding frame. The 2013/14 season was to prove a campaign of two halves for Shaun, as he struggled for results early on, before returning to the winner’s circle early in 2014. His strongest results before Christmas were generally to come at the European Tour events, a last 16 appearance early in Sofia, ultimately being bettered by a semi-final run in Doncaster, where he lost 4-1 to eventual winner Ricky Walden. Shaun was to have a frustrating run in the season’s major events, although there were signs of improvement with a last 16 run at the UK Championship and a semi-final run at the Masters, where he was to suffer a demoralising 6-1 defeat to reigning champion Mark Selby. Success however was just around the corner, a 147 in the Championship League, followed by a third career maximum at the Gdynia Open, an event that he would win with a 4-1 victory against Fergal O’Brien to end a long trophy drought. Clearly looking a far more confident player than he had previously, the following month saw Shaun claim the fifth ranking event title of his career at the Haikou World Open, as he defeated Jimmy White, Mark King, Ding Junhui, Graeme Dott and two-time defending champion Mark Allen to reach the final, before seeing off friend Mark Selby 10-6 for victory. His season was to end at the World Championship in Sheffield, where he defeated Jamie Cope and Marco Fu to reach the quarter-finals, before suffering a heavy 13-3 defeat to reigning champion Ronnie O’Sullivan. 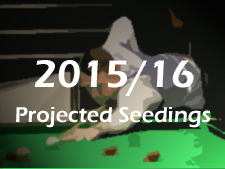 His results were to see him finish ranked in 7th place, following the change to a prize-money based ranking system. Shaun was to enjoy perhaps his best season as a professional during 2014/15 as he carried forward the renewed confidence that he had first shown in Gdynia during the previous season. Following a run to the quarter-finals of the Wuxi Classic, he won back to back European Tour events in Bulgaria and Germany, the latter including a string of maximum break attempts as he finally succeeded to make his fourth career 147 in the final against Robert Milkins. 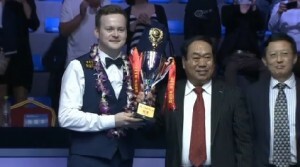 Disappointment was to come at the UK Championship with defeat to Marco Fu, but he rebounded in style in defeating Mark Selby, Stephen Maguire, Mark Allen and Neil Robertson to win the 2015 Masters and complete snooker’s so-called triple crown of having won the World, UK Championship and Masters events. 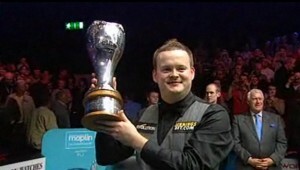 He came close to winning the German Masters, ultimately losing 9-7 to Selby in the final, before he finished the season by making it through to the World Championship final for the third time in his career, only to lose 18-15 to 38-year-old Stuart Bingham in one of the most dramatic finals in recent years.